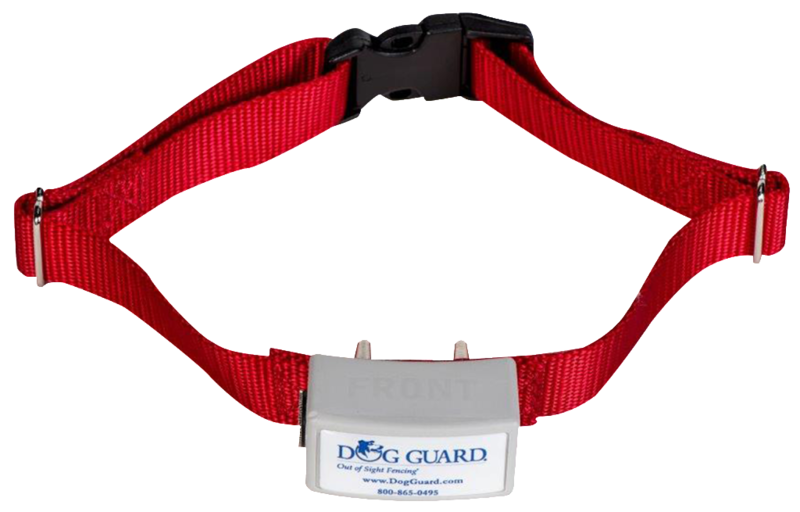 The XT receiver is designed to handle the “medium to large dogs and breeds that can be stubborn when it comes to training. It works well with dogs that are runners such as Huskies, Labs and hunting dogs. This receiver is waterproof and has a LIFE TIME warranty provided it was not damaged or abused. Dog Chews are covered under the LIFE TIME warranty. Your Dog Guard professional dealer will show you ways to prevent dog chews. The fail safe feature shuts the receiver down 30 seconds after it has been activated. The receiver will reset itself once it has been removed from the signal field for 3 seconds. This feature assures that your pet will not be continuously stimulated should he become caught in the signal field. The XT receiver has the highest pulsating stimulus in the industry. Your Dog Guard professional dealer will adjust the stimulus to your pet’s temperament. This receiver can be ordered in the encoded mode or in the non-encoded mode; with or without a one-second delay. The receiver in the encoded mode is immune to stray signals and provides up to 32 levels of initial stimulation that is controlled at the transmitter. When the pet enters the first signal field, it will receive a warning tone or stimulation. Should the pet stray into the second signal zone, the receiver will automatically increase to a stronger stimulus. The maximum stimulus can be controlled by using shunts. When ordered with a one-second delay, the pet will receive a one-second audible warning prior to stimulation; if he does not retreat from the signal field, he will receive a stimulus. It is available in two frequencies.